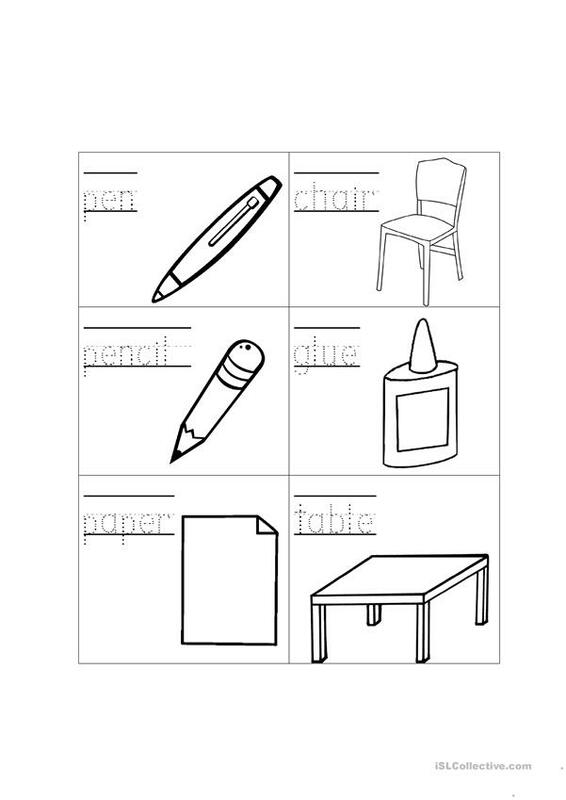 An easy worksheet for kindergarten pupils which involves tracing and colouring the classroom objects (pen, pencil, paper, chair, table and glue). Editable. Enjoy. The above printable, downloadable handout is intended for kindergartners and nursery school students at Beginner (pre-A1) and Elementary (A1) level. It is about the theme of Classroom.